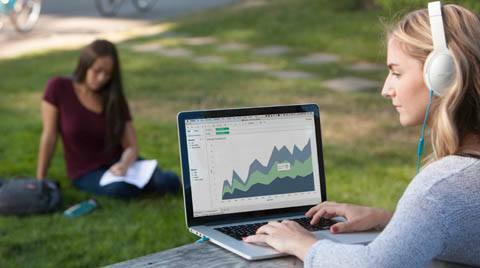 Tableau’s powerful analytics platform empowers everyone across your organization with data. Start by selecting your deployment option then decide the right mix of user types to meet the unique needs of your organization. Discover insights with a powerful suite of products that support your end-to-end analytics workflow. Enhance data preparation and governance with this add-on to Tableau Server. Learn More about Data Management or Contact Sales to add to your deployment. How do I choose the right mix of users? Includes:Tableau Desktop, Tableau Prep Builder, and one Creator license on Tableau Online. How do I decide the right mix of users? Access content embedded in other websites, portals and applications. Download a snapshot of a visualization or dashboard as either a .pdf or .png file. Download only the aggregate data used by the visualization or dashboard. Download the full data set associated with the visualization or dashboard. Create content starting with an existing data source published to Tableau Server or Tableau Online. Explore an existing data source published to Tableau Server or Tableau Online with Ask Data. Create and share content by connecting to a new data source, including raw data. You're not restricted to existing, published data sources. Dashboard Starters allow you to connect prebuilt dashboards to common enterprise applications. Combine, shape and clean data, and save the process as a data flow. Manage site roles, content ownership, and user permissions. Manage projects, workbooks, and data sources certification. Questions about pricing? Contact us, we’re here to help. From the individual analyst to everyone across a large organization- Tableau helps bring analytics to every corner of your organization. Tableau reduces the cost to deploy best­-in-­class analytics and gives you the flexibility to buy what you need, where and when you need it. We deliver a complete analytics experience—no hidden costs or additional products required. Understand the price you pay upfront, with no surprises. Tableau is more than software—with free training, an unrivaled commitment to R&D, and a vibrant community of data rockstars, we invest in your success. Enable your entire organization with the flexibility of Tableau. What is a Tableau subscription? Subscriptions give you access to Tableau over a set period of time and are available for all offerings and deployment options, from on-premises to fully hosted in the cloud. Subscriptions lower the upfront investment of deploying business intelligence and access greater flexibility to scale at their own pace. 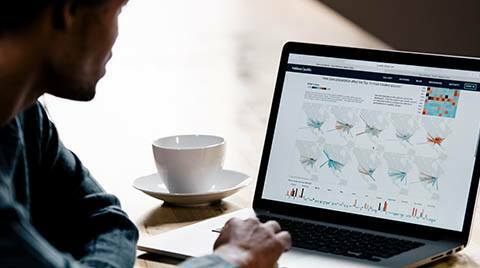 Tableau's new offerings are a new way to buy Tableau that are tailored to meet the unique needs of all types of users. They include different capabilities that let customers choose what is best suited to what they need. Why did Tableau change their pricing model? Tableau is focused on helping people see and understand data. We have changed our pricing to make it easier to empower more people with data by tailoring our offerings to meet the unique needs of all types of users. Yes. Tableau’s subscription offerings make it easier than ever to plan and scale analytics across your organization, including volume discounts where applicable. You can learn more about enterprise subscription licensing here. How do I decide the right mix of users for my organization? Choosing the right mix of Creators, Explorers, and Viewers depends on a few different factors. Please read here for more information on this topic. Do I need to upgrade to take advantage of these new offerings? On-premises or public cloud deployments: Tableau's new subscription offerings require Tableau Server 2018.1 or greater. Hosted by Tableau: Tableau Online is already compatible with our new offerings. 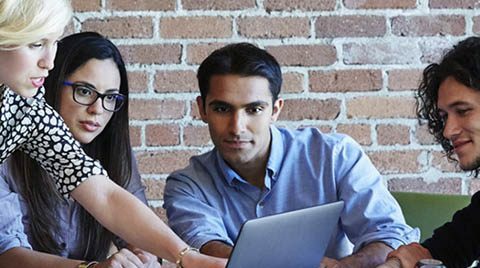 Tableau provides qualified students and instructors worldwide with free licenses. Create, publish, and share interactive visualizations of public data—all for free. Small non-profits and NGOs around the world can request donations of Tableau software.